The work of law propagation, dissemination and education serves as an important measure to raise troops’ law and discipline abiding awareness, build healthy law cultural environment, and contribute to the enhancement of the combined strength and combat readiness level of the armed forces. Perceiving that, the Military Party Committee and Command of Ca Mau province have adopted measures for leadership and direction over the implementation of this work and achieved considerable results, making contribution to successfully fulfilling all the assigned tasks. To begin with, the Provincial Military Party Executive Committee has directed offices and units to focus on raising awareness and responsibility of key cadres at all levels towards the implementation of programs for law propagation, dissemination and education in accordance with resolutions, directives and guidance issued by higher authorities. At the same time, this work has been kept at the forefront of party executive committees’ leadership activity, commissars and commanders’ action plans, responsibility of political offices and cadres and mass organizations. During the course of implementation, the Provincial Military Party Executive Committee has directed military party committees and cells to review the work of law propagation, dissemination and education as well as troops’ observance of discipline; to take the results of this work as one of the criteria for the evaluation of pure, strong party organization and comprehensively strong unit; to include this work in emulation movements. Yearly, grounded in plans for law propagation, dissemination and education made by the Military Region 9 and the Provincial People’s Committee, the Council for Law Dissemination and Education assigns its members to contents of legal propagation, dissemination and education. Moreover, the Council closely cooperates with the Provincial Public Security, region 6 criminal investigation agency, Provincial Border Guard, Coast Guard Region 4, and Naval Region 5 to opportunely grasp information, inform the situation and guide law propagation, dissemination and education. Annually, the Council gives advice to party committees and commands at all levels on contents and measures for legal propagation, dissemination and education as well as action plan building; while promoting the role of its members in direction, inspection and review to opportunely redress shortcoming and identify guidelines and measures for better and more effective implementation of this work. To that end, special importance has been attached to identifying contents of legal propagation, dissemination and education appropriate to each group of subjects. A part from compulsory curriculum, the Provincial Military Party Committee and Command have directed offices and units to study and introduce others, such as the Action Plan by the Standing Board of the Provincial Party Committee on “building Ca Mau province into a strong defensive zone in the new situation”; the Prime Minister’s Decree 91/2017/NĐ-CP stipulating the execution of several articles of the Law on Emulation and Commendation; the Agreement on Border Management; National Defence Minister’s Decision 28/QĐ-BQP on coordination among maritime forces; the Ordinance on arresting illegal border-crossing people; and regulations on joint patrol. As regards the active force, alongside the State’s laws and codes, offices and units have introduced specialized topics to cadres and troops, such as fundamentals of the Law on Amending and Supplementing a Number of Articles of the 2014 Law on Officers of the VPA; the Anti-Corruption Law 2012 and the Law on Thrift Practice and Waste Prevention 2013; the Law on Handling of Administrative Violations 2012 and regulations on handling of administrative violations regarding the Ministry of National Defence; the Decision 04/QĐ-BQP stipulating the handling of discipline violations that are not severe enough to attribute criminal responsibility; the Law on Health Insurance and its execution in the military; the Directive 854/CT-BTL by the Military Region 9 Commander on “strengthening measures to ensure traffic safety and observance of the Law on Land Road Traffic within the armed forces”; the Law on Land Road Traffic, the Law on Inland Waterway Traffic, and a number of measures to ensure land road and inland waterway traffic safety as well as the military’s training and work safety; the Regulations on management and use of motorbikes in the military. As for the militia and self-defence force, focus has been put on education to maintain their sense of vigilance, fight against collection of intelligence information, and protect military and national secrets; on the Law on Militia and Self-Defence Force, the Land Law, the Denunciation Law, the Law on Complaints, the Ordinance on Dykes and others related to local military and defence tasks. Regarding the reserve force, in addition to compulsory curriculum, units have provided education about the Ordinance on the Reserve Force, the Law on Military Service, and the Party Central Committee’s Secretariat’s Decision 41-KL/TW on continued implementation of the Politburo’s Directive 16-CT/TW (12th tenure) on “strengthening the Party’s leadership over the militia and self-defence force and the reserve force in the new situation”. Moreover, the Provincial High Command has directed units to introduce the Party’s guideline, the State’s law and local regulations on ethnicity and religion to achieve consensus between awareness and action to cadres and troops. In 2017, the Provincial Military Party Committee and Command directed offices and units to hold 484 training courses on law knowledge with 25,931 attendances. During the process of implementation, the Provincial High Command has paid proper regard to improving knowledge and teaching methodology of law lecturers and propagandists, while closely cooperating with other forces in the area in law propagation, dissemination and education for locals. Currently, the Provincial Coordinating Council for Law Dissemination and Education consists of 15 members; 2 of them are Military Region-level law lecturers, 6 are provincial-level ones. There are 45 professional law lecturers; most of them are political cadres and those from judiciary and criminal investigation branches. This is the force directly carrying out the work of legal propagation, dissemination and education and setting this work in order. Yearly, the Provincial High Command launches training courses for this force and assigns cadres to attend conferences for law lecturers and improved legal knowledge inside and outside the military, while encouraging and facilitating their self-study to improve their knowledge and methodology. Besides, offices and units have cooperated with local party committees and governments, judiciary agencies, Fatherland Front, Youth Union, Women’s Union, Veterans’ Association, Farmers’ Union, and so on in legal propagation, dissemination and education for young people, students and people in the area. Military agencies at all levels have proactively worked with units and local party committees and governments to hold discussions on law and religion; to improve knowledge of defence and security; to approach religious dignitaries and followers for fulfilment of obligations of citizens. At the same time, they have cooperated with the forces of Navy, Border Guard and Coast Guard to conduct the work of propagation related to military diplomacy, prevention and control of drug, smuggling and trade fraud among fishermen and people in coastal areas. In 2017 alone, the province’s armed forces worked with other forces to propagate and disseminate law to 8,775 fishermen and people in coastal areas; to hold legal training courses for 74 key cadres from the Military, Border Guard, Public Security and relevant agencies of the province and districts. Those activities have positively impacted on cadres, troops and locals’ law abiding consciousness. Alongside the raised awareness of law, proper regard has been paid to discipline management and training; maintenance of military administrative order; exercise of Grass-Roots Level Democracy; improvement of material and spiritual life as well as entitlements and policy for military rear. Party committees and commanders of agencies and units have closely combined legal propagation, dissemination and education with the implementation of the Resolution of the Party Central Committee’s 4th Plenum (12th tenure) on Party building and rectification; the Politburo’s Directive No.5 (12th tenure) on acceleration of studying and following Ho Chi Minh’s thought, morality and lifestyle; the Campaign “promoting tradition, devoting talent, deserving to be Uncle Ho’s soldiers”, the Determination to Win movement and other campaigns and movements of sectors and localities. Contents and requirements for law abiding consciousness training have been concretized into targets for individuals and collectives to strive; observance of State’s law and military discipline has been seen as criteria for assessing cadres and troops’ moral self-improvement. Units and agencies have stringently maintained the Military Regulations and attached importance to methods of administrative management and regulations on command, office, and combat readiness duty, while strictly implementing the Directive of the Minister of National Defence and resolutions of the Military Region Party Executive Committee and the Provincial Military Party Committee on military regularity building and discipline practice within units. 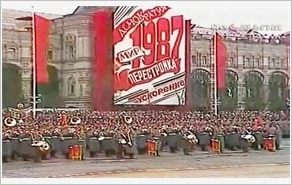 The successful implementation of the work of legal propagation, dissemination and education has effected a drastic change in discipline management and regularity building, and the number of violations of State’s law and military discipline in offices and units has witness a sharp reduction. In 2017, there was no serious violation of discipline in the province’s armed forces; the number of minor violations of discipline decreased to below 0.3%. Those results have greatly contributed to successfully fulfilling the military and defence tasks, building pure, strong Provincial Military Party Committee and comprehensively strong unit, maintaining political security and social order in the area, managing and protecting sea and island sovereignty.